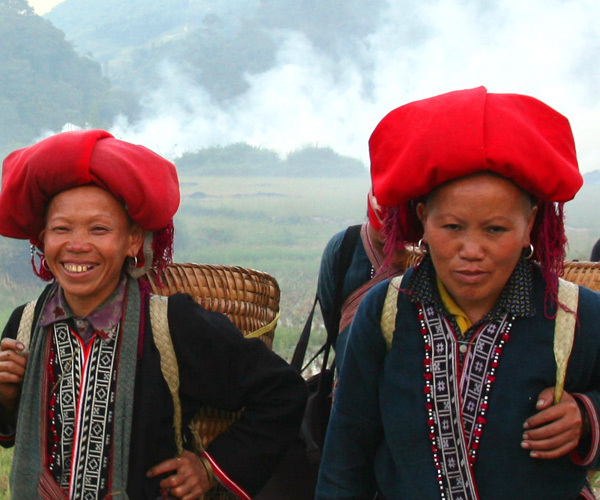 This is a gorgeous headpiece of older women of the Red Dao people living in the Lao Cai province of northern Vietnam, near the border with China; in fact, the headscarf is an ensemble of two kerchiefs, each of the total area of ​​not less than one and a half square meters. I’ve spent an unforgettable half an hour trying to learn the sophisticated technology of tying this kerchief so as to get a beautiful and sleek turban like that of the Dao women, but I failed miserably. Apparently, the whole secret is in long, down to waist, hair of the Dao women, and the hair is woven into the turban, too, and that it is improper to appear in public with an uncovered head. 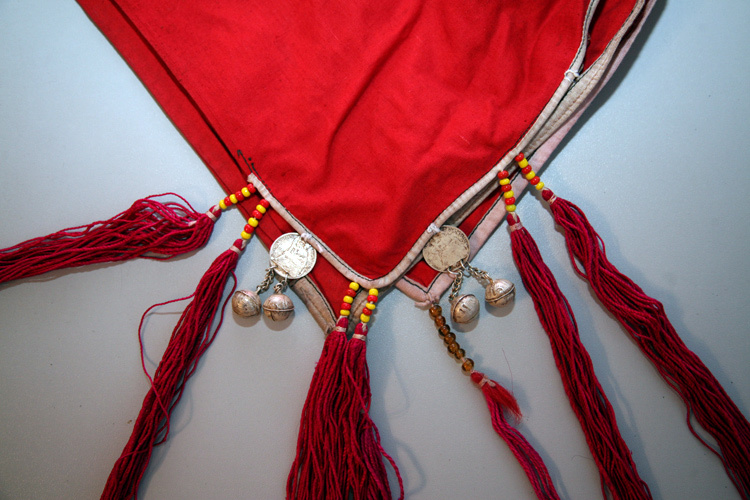 Silver bells, coins and fringe should be visible on the side edge of the kerchief. 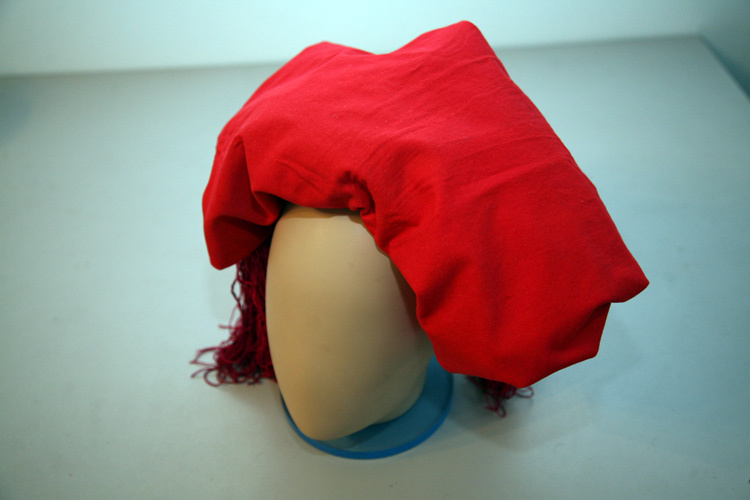 Such a complex headgear can be worn only by older women.